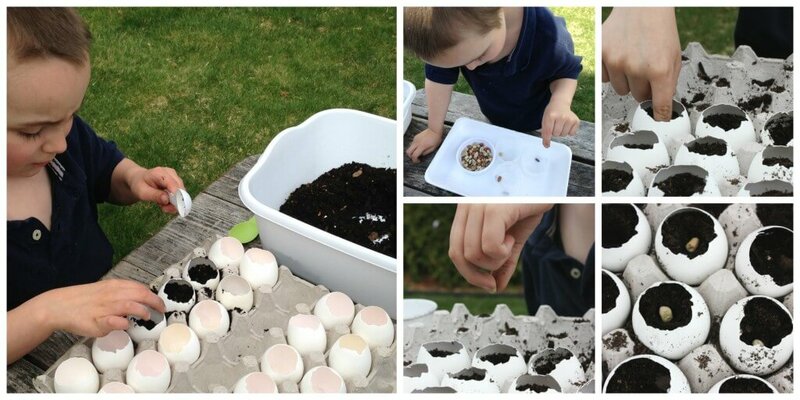 Growing seeds in eggshells is a neat way to engage preschoolers and show them the stages of seed growth! Planting seeds with kids is the perfect foundation for earth sciences and a great catalyst for discussion about what plants need to grow and be healthy. Make sure to check out all the different types of seed growing experiments. 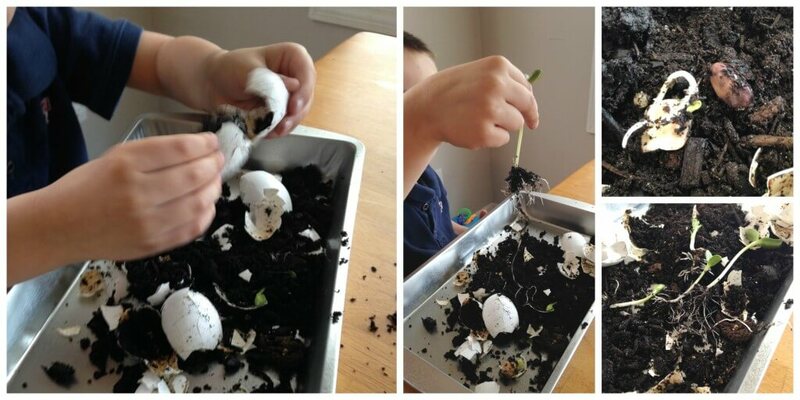 GROWING SEEDS IN EGGSHELLS FOR SPRING SCIENCE! I decided to try growing seeds in eggshells after the success of our Seed Germination Experiment. I wanted my son to be able to get his hands dirty and check out the seeds growing in the dirt this time! Looking for easy to print activities, and inexpensive problem-based challenges? 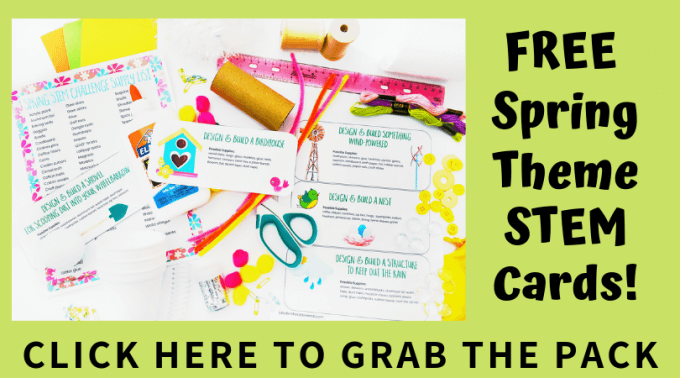 Click below to get your quick and easy STEM challenges. 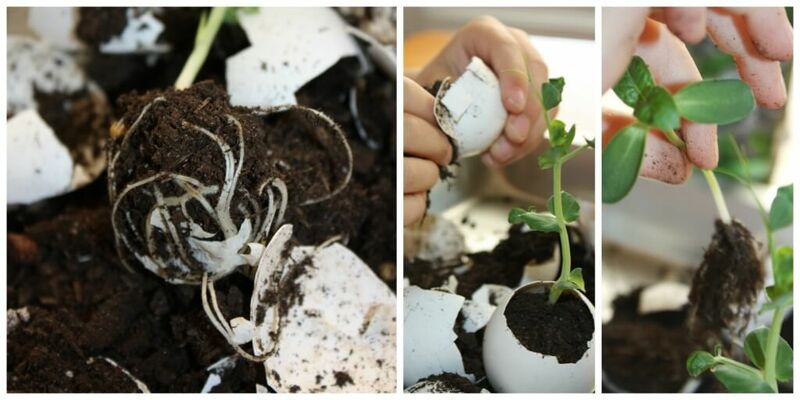 STEP 1: Set up your eggshells in the egg cartons and fill with the soil. We used a couple of different types of seeds, so we made sure to separate one set of eggs from another. 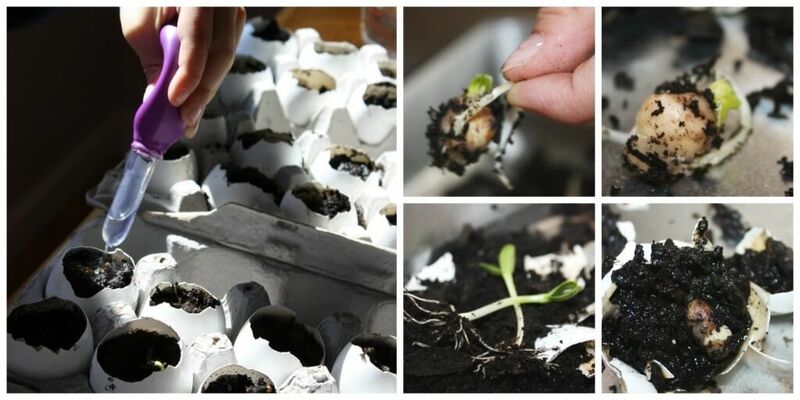 STEP 2: Push one seed gently into the soil of each eggshell, making sure the seed is covered with dirt. STEP 3: Use a small spray bottle or similar to dampen the soil. Do not over water! 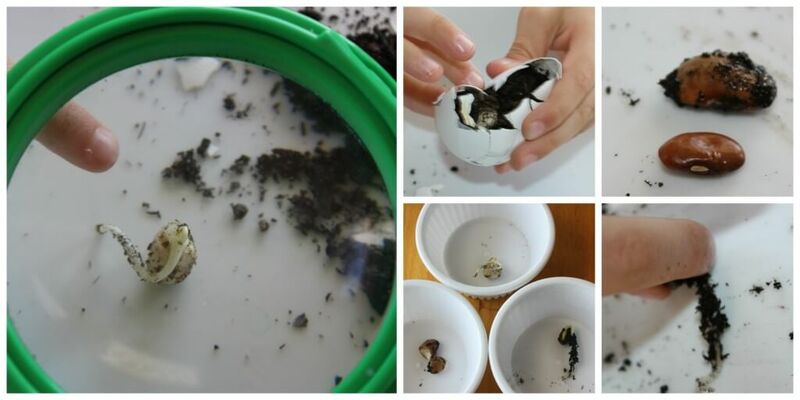 We gave the seeds three days to start the process on their own, and then each day we opened up one or two new egg shells to examine the seed and note the changes taking place. This seed growing activity is terrific for developing observation skills. 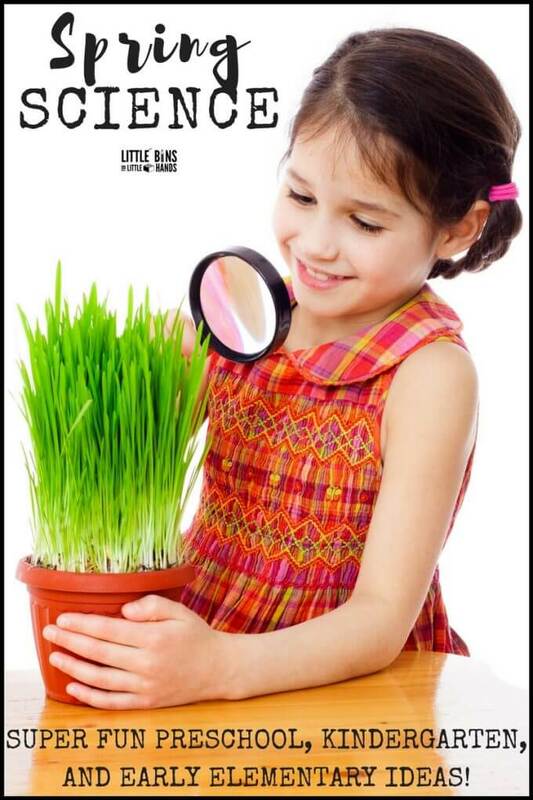 Have a magnifying glass ready for your little scientist! Grab a magnifying glass and dig in! Maybe there won’t be any changes the first time but keep at it! What are we looking for in each eggshell? Ask lots of questions as you open up your eggshells! Help your kids hone their observation skills by asking questions that encourage them to take a closer look at what’s in front of them. Don’t leave it too long to break open your shells and have a look at what’s happening! Our sunflower seeds popped a root the fastest and we missed it! Older kids might enjoy drawing their results each day to look back on later. To extend the activity further, kids can label the different stages of the seed growth, draw the life cycle of a seed, and keep daily field notes and write down observations. 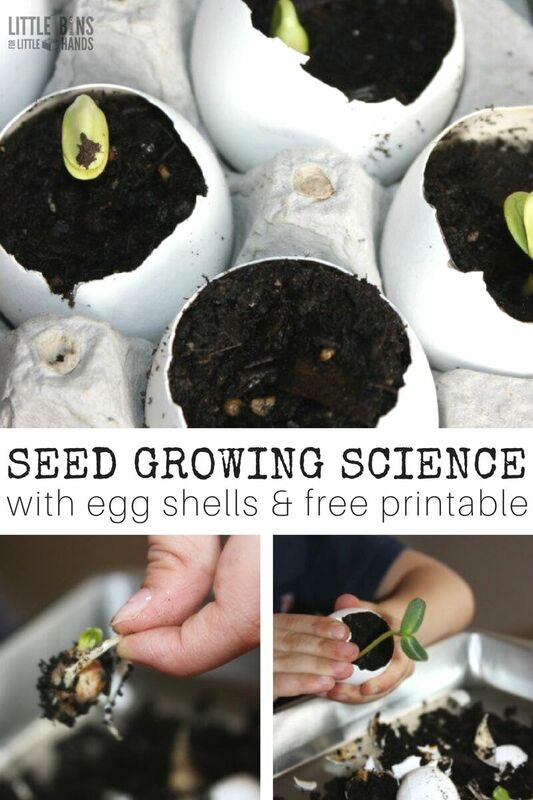 AWESOME SEEDS IN EGGSHELLS SPRING ACTIVITY TO TRY! 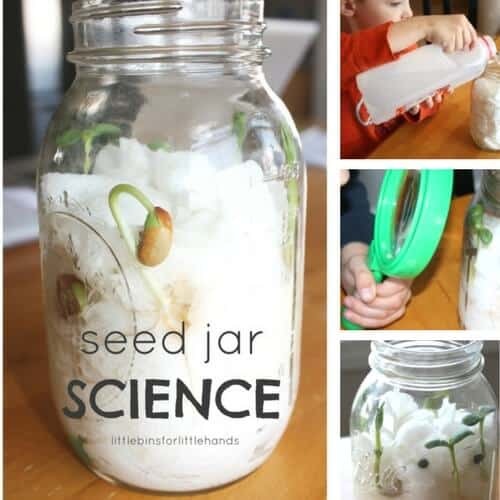 Click on the link or the image below for more fun spring science activities and experiments!